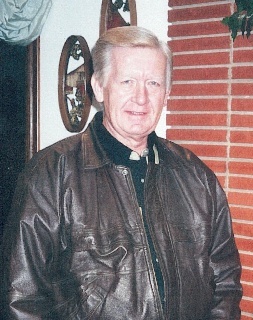 David Lee Mitchell, age 77, of Dickson, passed into his heavenly home on January 15, 2019 at his home. A memorial service for David will begin at 11 a.m. Saturday, February 9, 2019 at Bethel Baptist Church, Dickson with Bro. Randy Franklin, Pastor, officiating. The family will greet friends in the church dining hall for a time of food and fellowship following the service. In lieu of flowers, memorials may be made to the Missions Fund at Bethel Baptist Church. David Lee Mitchell was born on January 15, 1942 to the late Calvin James Mitchell and Ernestine Mae Mannausau Mitchell. David had a lot of vocational interests; and provided for his family by being a sales leader in the insurance industry. David was also a mechanic and showed great interest as a car enthusiast and loved to work on his two classic vehicles every chance he got. David and his wife Kitty would go to many car shows and cruising events. A loving husband, father, and grandfather, David was a faithful member of Bethel Baptist Church where he worshiped with his wife. He was also a Mason and a Shriner. Survivors include his wife, Karen “Kitty” Mitchell of Dickson; two daughters, Kimberly Mitchell of Clarksville; and Kristine Mitchell Norfleet (Tony) of Clarksville; a brother, Daniel Mitchell (Francine) of Alma, MI; three grandchildren, Lauren Mitchell of Hazel Park, MI; David Simeone of Clarksville; Amber Norfleet of Clarksville; and fellow car enthusiast/close friend Charlie Stringer of Dickson. He was preceded in death by his son, Walter Alan Mitchell.